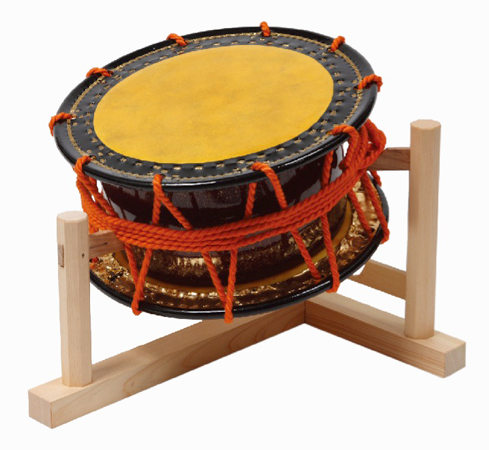 Shime Daiko (meaning "tensioned drum") is a term that is often used to collectively refer to Hayashi Daiko and Minyo Daiko, and is used widely for noh, ohayashi, minyo, nagauta, and many other classical Japanese music. Those made for classical Japanese music have deer hide attached to the center of the heads for a softer sound. 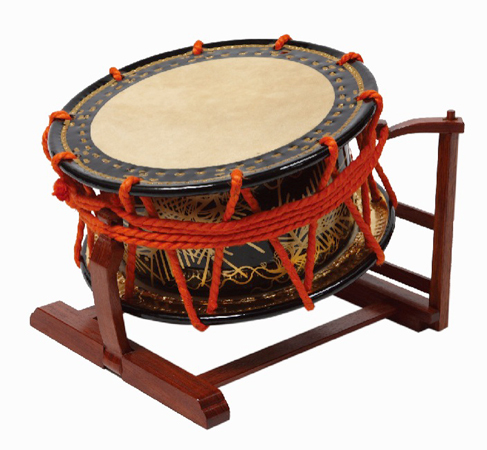 A Shime Daiko is not suited for powerful drumrolls, but is generally very decorative, and is relatively easy to tune, making it easy to handle even for women and children.